Senior PLC are a market leading, FTSE 250 company with 33 operations, spanning 14 countries. They currently employ 7,600 staff around the globe and can be considered a 24/7 operation. Senior PLC manufacture and market high-technology components and systems for the principal original equipment producers in the worldwide aerospace, defence, land vehicle and energy markets. 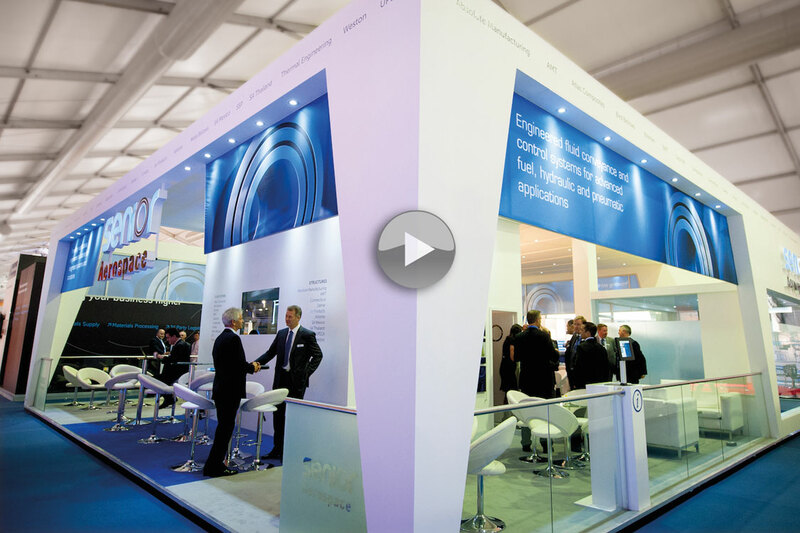 Threeguru were commissioned to produce an exhibition video for the worlds largest airshow, The Farnborough International Airshow, as part of paperless exhibition stand for Senior Plc. The 5 min video provided an overview of Senior’s 24/7 aerospace operation and featured both stock and supplied footage from more than 20 companies. Threeguru’s video production team created a graphic framework in which to standardise the varying TV formats and camerawork of the raw footage supplied. A strong video presence was complimented by motion graphics throughout to ensure the exhibition video delivered a concise message to over 250,000 visitors across the 5 day event. The finished exhibition video played continuously on a loop to the exterior of the Senior stand and proved to be an integral business development tool for presentations in the stands meeting room environment. Threeguru have since produced subsequent exhibition video edits to be used at the 51st Paris Air Show as well as the Senior annual management conference in Madrid.